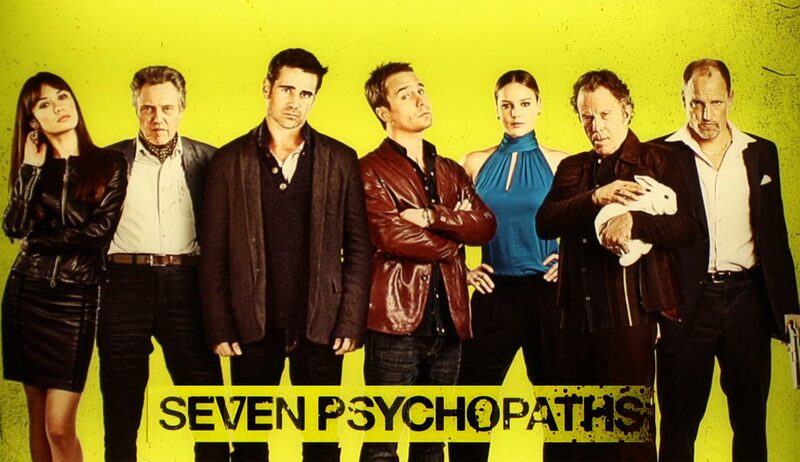 Check Out The Trailer for ‘Seven Psychopaths’!!! This trailer looks all sorts of fun. Marty (Farrell) is a struggling writer who dreams of finishing his screenplay, “Seven Psychopaths”. Billy (Rockwell) is Marty’s best friend, an unemployed actor and part time dog thief, who wants to help Marty by any means necessary. All he needs is a little focus and inspiration. Hans (Walken) is Billy’s partner in crime. A religious man with a violent past. Charlie (Harrelson) is the psychopathetic gangster whose beloved dog, Billy and Hans have just stolen. Charlie’s unpredictable, extremely violent and wouldn’t think twice about killing anyone or anything associated with the theft. Marty is going to get all the focus and inspiration he needs, just as long as he lives to tell the tale. Enjoy the trailer. Oh yeah, and TOM WAITS is in this movie. This entry was posted on Tuesday, August 14th, 2012 at 4:27 pm	and is filed under Film, News. You can follow any responses to this entry through the RSS 2.0 feed. You can skip to the end and leave a response. Pinging is currently not allowed. « Seth Green Set to Star in Hacker Miniseries ‘Delete’!! !